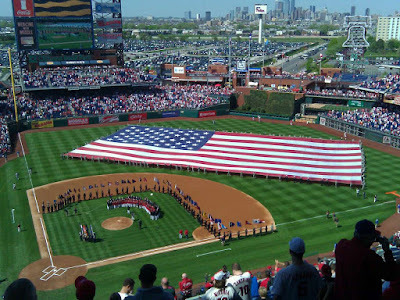 On this off day/built-in rain date for the home opener, PhoulBallz brings you a few pictures taken at yesterday's home opener. 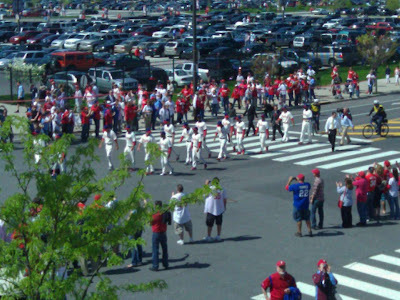 The Phillies players make their way up the street toward the ballpark, where they entered through Ashburn Alley to take the field. 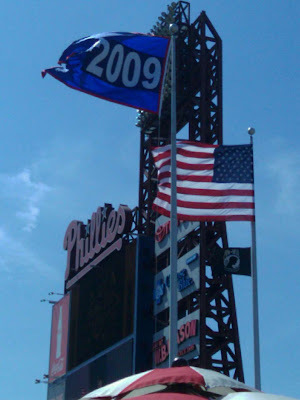 Phillies manager Charlie Manuel raised the National League Champions flag from Ashburn Alley. Pregame introductions taking place prior to first pitch.